Everyone has a side dish that is a must on the holiday table. What seems strange to one person is a yearly tradition to others. My sister-in-law makes a really bizarre apple sauce/colored marshmallow concoction that makes an appearance every year but I can’t bring myself to try it, for her it was one of her mom’s favorites, memories of past holidays with loved ones no longer with us. For me it just wouldn’t be a proper turkey dinner without my mom’s spicy sausage stuffing. Really it’s my own addiction to this spicy, savory dish that keeps it on the table every holiday. Not only for the main meal but late at night piled high on cold turkey sandwiches slathered with mayo and cranberry sauce. For many years my sister Bonnie and I would end the Thanksgiving evening with these, often fueled by late night munchies, dragging everything out of the fridge again to build huge sandwiches on glowing white pieces of wonder bread. 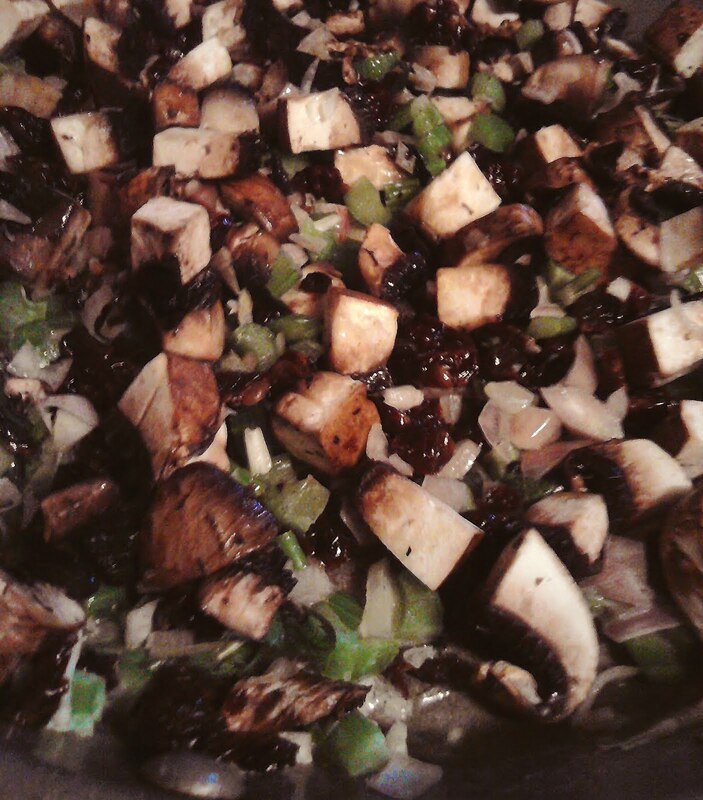 These days I also add a veggie stuffing substituting the sausage for portobello and port wine soaked dried cherries, given a choice I pick the spicy dish but with a few vegetarians in the family it’s a must, damn good but just not connected to my past holiday memories. For holiday beverage pairing traditions I’ve always thought of it as a time to drink luxury wines, the ones I’d been saving and longing for an excuse to open. This Thanksgiving I wanted to switch things up a bit and go American. In the past I’d bring a Champagne to start followed by a Grand Cru Burgundy, a selection of German Riesling and a Port or Sauterne for dessert. I’ve even converted a few non wine lovers with my array of luxury treats, one year my dad was thrilled that his lady friend finally found a wine she loved, until he went to buy it and later called me to ask if I was insane for drinking a wine priced at $125 for a half sized bottle. In the last few months I’ve sampled many different local wines and in support of local vintners I wanted to share my favorite picks for pairing, all under $20. I was happy to see a few of the other family members had the same idea so there was a vast array of different wineries and grapes represented. 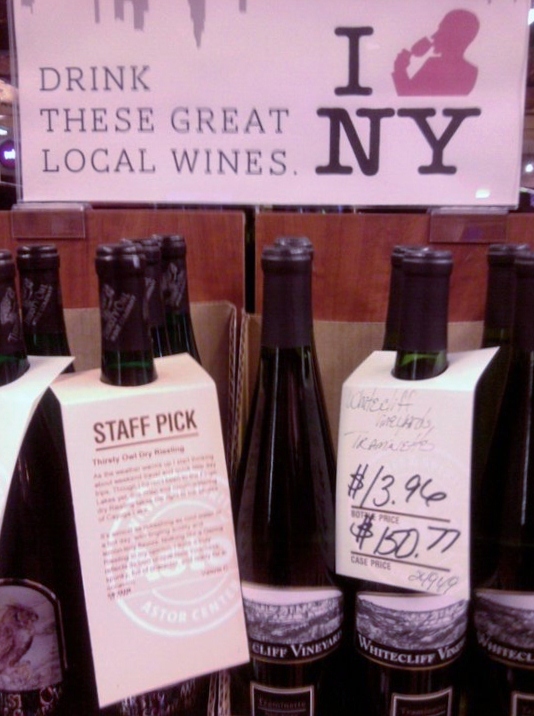 Three or four Finger Lakes Rieslings, a Connecticut wine, four Hudson Valley offerings and a few local sparkling wines were tasted and compared. While I really liked the Rieslings my two favorites for pairing where both from the Hudson Valley, Millbrook’s Cabernet Franc, 2008 and Whitecliff Winery’s Traminette 2010. Traminette a cross of Gewurztraminer and the French-American varietal Johannes Seyve 23-416 was created by H.C. Barett, then of University of Illinois. Seeds were sent to Cornell’s grape research program in 1968 but not released till the mid nineties. This cold hardy, late ripening grape shows great promise in New York. It has all the intoxicating lychee, dried fruit and spice qualities from its German parentage with a crisp acidic apple finish. Whitecliff’s version was a great pair with both our spicy stuffing and other rich dishes. Millbrook’s Cabernet Franc was also a wonderful pairing with aromas and flavors of raspberry, forest floor, olive and baked potato. Hailing from France this grape is making a name for itself in the colder regions of New York, from the Finger Lakes to the Hudson Valley. I’ve had some pretty tasty NY wines made from this grape, both old world in style with a bit of funky earthy aroma to a fresher fruity new world style. 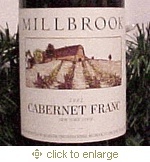 Millbrook’s Cabernet Franc paired best with both dark meat turkey and the portobello mushrooms in our veggie stuffing. True to form after dessert, cleaning up, crazy family conversation, more wine and a catnap my niece and I dragged out the leftovers for sandwiches, all that was missing was my sister who was down South this year. 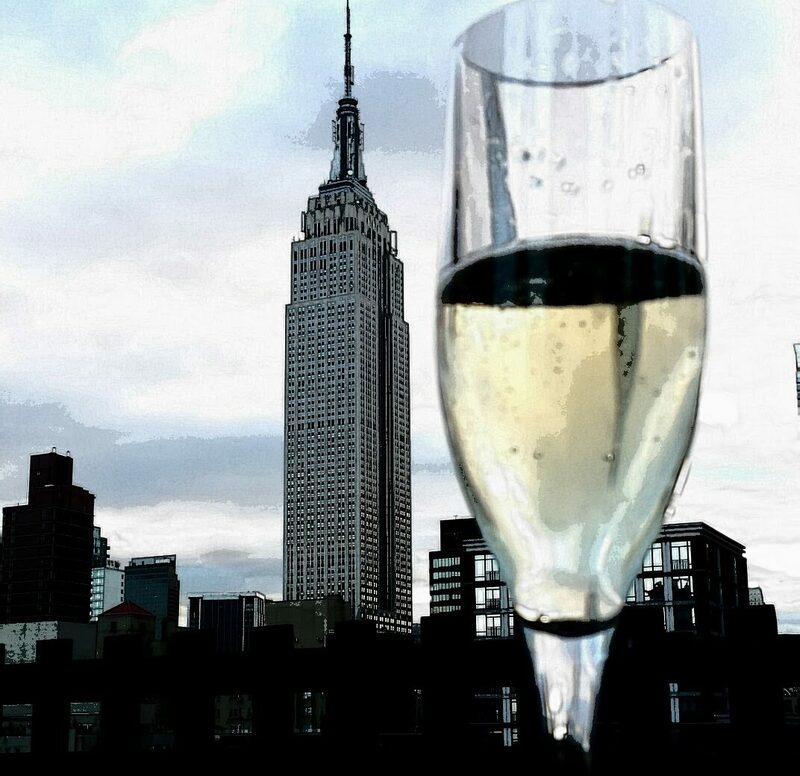 Here’s to the start of the holiday season! 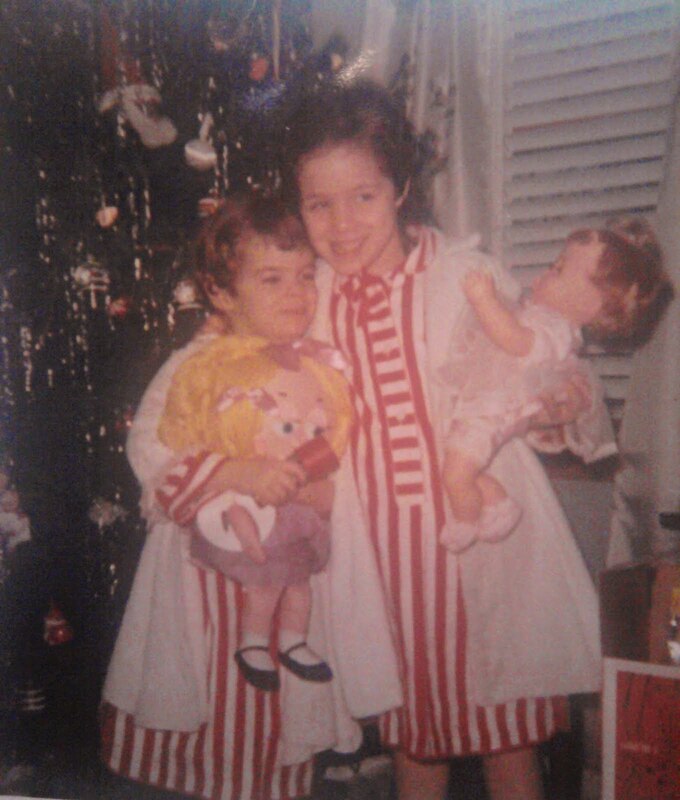 Share your old traditions and create new ones! Food and wine always tastes better when shared with others. Enjoy! Add sausage to large fry pan over medium heat. Break up into small crumbles with a heat safe spatula and cook till just done. Add onion, celery, carrots and bells seasoning to sausage and cook on low till onions are transparent, stirring often. Put bread cubes in large bowl and add sausage/veggy mixture, mix well. Warm chicken stock and butter over low heat till butter is melted. Slowly add in broth mixture to bread/sausage/veggy mix stirring to incorporate liquid. Finished mix should be a bit moist but not mushy. Mix in fresh herbs and transfer into baking pan or half size aluminum tray. Cover with foil and bake for 45 minutes in 375 degree preheated oven. Uncover and bake for 15 minutes more or until a bit browned on top. When I owned my restaurant this was an employee favorite, made for many a staff meal. We had a few gluttons we called stuffing monsters who would gobble this side dish up in no time. Left overs can be made into sandwiches as suggested or used as a filling for stuffed pork chops or chicken breast with a pan gravy of your choice. Wishing all a delicious holiday season!